The Cowichan Regional Visitor Centre (CRVC) is at the intersection of the Trans Canada Hwy & Bell McKinnon Rd. That's the south east corner of the intersection and we share the entrance/parking lot with the BC Forest Discovery Centre. 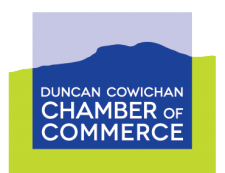 Whether you come to Duncan and Cowichan to live, to work…or to play, you will find a vibrant region with a rich history and heritage, a thriving arts and cultural community, spectacular natural beauty, plus award winning wineries and restaurants, and a wide range of shops, boutiques, galleries and museums…and plenty more! Our accredited travel counsellors will guide you to exactly the experiences and services you are looking for. We also carry local artisanal products, branded t-shirts and hats. Start your visit with the CRVC - we make it better, and easier! Hiking, biking, kayaking, whale-watching, tubing, sailing, boating, swimming, fishing, scuba-diving…it’s all right here in the Cowichan! Check out Tourism Cowichan's website for more information on all there is to see and do in the Cowichan Region. Cowichan – Come for a Taste – Stay for the Feast! Tourism Cowichan produces an annual Vacation Guide to assist you with exploring the entire Cowichan Region.